Are you looking for a new camcorder capable of producing HD footage? The Canon Vixia Hf R70 could be the very camera you’ve been seeking after. 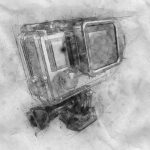 Are you tired of taking low-quality videos with your smartphone, or even worse, that old worn out video camera that’s been collecting dust in your closet for the past decade or two? If you are in the market for a new camcorder, you’ve come to the right place. Do you want to find the best camcorder for capturing the memorable events and special moments in your life? Maybe you’re expecting a new baby, or your teenager is about to graduate from high-school. If you want to create vivid and high-quality videos worthy of looking back on for the rest of your life, find out why we think the Canon Vixia Hf R70 is one of the best camcorders under $500 on the market. Canon has gone and done it again. The Canon Vixia Hf R70 is as diverse of a camcorder as they have ever created. 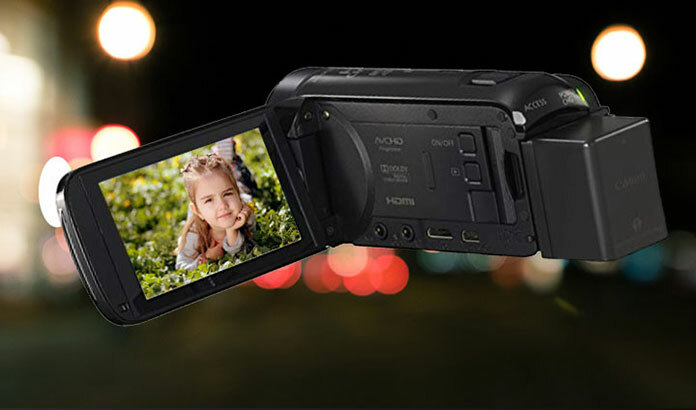 Clear high-def image quality, an impressive advanced zoom function, and an internal flash drive are just a few of the amazingly powerful features of this camcorder. 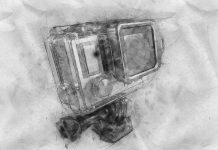 Capture distant objects and events as if they were close enough to reach out and touch them with a 57X Zoom and SuperRange Optical Image Stabilizer. Zoom Framing Assist helps to keep distant features locked in the frame as well. Capture over six hours worth of footage with a 16GB flash drive and optional SD memory. A sleek, compact design, smooth, user-friendly interface with easy to understand icons and a super sharp LCD screen make the Canon Vixia Hf R70 even more appealing than ever before. Never miss a moment due to complicated controls and confusing layout. Get the footage you want to share with family and friends for years to come. Major features of the Canon Vixia Hf R70 include a maximum video resolution of 1920x1080 AVCHD and H.264 video capture modes at 60fps and 30fps. 16GB internal storage, a Digic DV 4 image processor, 32x optical zoom, and a 5.2mm CMOS optical sensor. Widescreen video capture, remote control mode and has a remote live view that works with smartphones as well. Automatic, manual and multiple programming modes including baby, beach, fireworks, low light, night mode, portrait, snow, sports, spotlight, and sunset. Minimum focal length of 2.8mm and maximum focal length of 89.6mm which is the equivalent of a professional quality 35mm camera. Additional features are fast motion and slow-motion recording, smart autofocus, and RGB primary color filter. Intelligent image stabilization and audio scene select function. Also, LCD with rotating form factor, NFC wireless LAN, and TTL contrast detection system. As well as tungsten light, daylight white balance and so much more. The Canon Vixia Hf R70 costs $169.99. Well known online retailers such as Amazon, eBay, and of course the parent company Canon, all carry this camcorder. 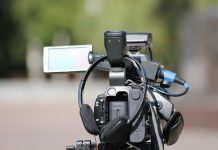 We compared Canon Vixia Hf R70 to several other camcorders within the same class and price range for the sake of making this article as informative for your purchasing decision as possible. So, how does the Vixia stand up to other brands? Take a look for yourself below! Sony is one of the best-known manufacturers of cameras, camcorders, and electronics in general. This particular camera comes with a 60x zoom which is very comparable to the Canon Vixia Hf R70’s 57x zoom. It also has 32GB of internal memory and image stabilization. However, the app featured with this camcorder is inferior quality, and the battery is practically worthless and the cost is over a hundred dollars more. Additional comparable Sony camcorders include the HDRCX405 Handycam Camcorder and the HDRCX455 Camcorder. Another famous maker of camcorders, Panasonic has been an industry leader for decades. In comparison to the Canon Vixia Hf R70, this camcorder has a bit lower zoom rate, 50x, and has no viewfinder. Also, the LCD panel is also not as high of quality as the Canon and can be hard to see in the sunlight. However, the actual video resolution is just as high, and with the aid of software, the zoom can be increased from 50x to 90x. Other comparable cameras made by Panasonic include the Panasonic HC-V770 and the Panasonic HC-W580. We scoured the internet for actual user reviews to come up with this list of the most significant pros and cons for you to consider before making a purchasing decision. 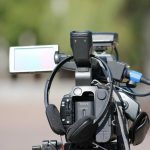 Some of the most significant pros about this camcorder include a new and improved screen, a much higher storage capacity than older models, as well as a more powerful battery than ever before. Also, other pros include a more than fair price range, a super easy to use interface and powerful image stabilization. As well as one of the most impressive zooms around. The main cons to this camcorder include the fact that while the camera does work with smart devices, there is no support available for those who use Android phones and tablets. Also, the design is a bit of a repeat for older Canon camcorders, and there were also no upgrades made to the video resolution from the last model. 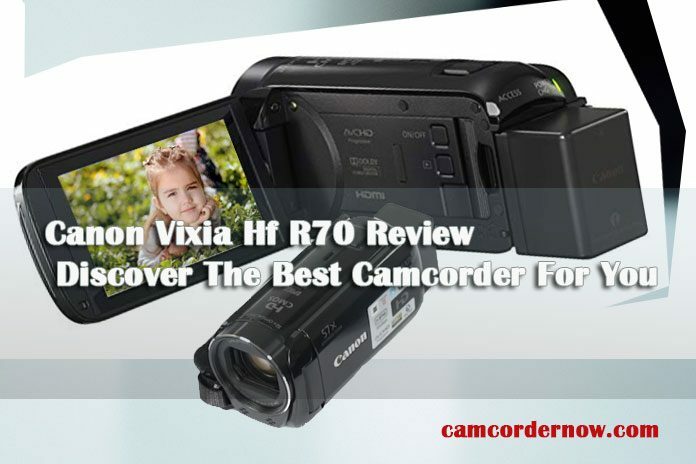 Despite the fact that camcorder sales have dropped significantly over the past decade, due to smartphones and tablets having cameras integrated into them, products like the Canon Vixia Hf R70 remind us that devices are no replacement for an excellent standalone camcorder. Based on the best information out there from consumers, we’ve bestowed a well deserved 4.5 out of 5 stars rating to this product. Whether you’re planning a vacation and want to invest in the best camcorder for you to take along for the ride, or you want to film your grandchild’s first steps, the Canon Vixia Hf R70 is capable of capturing it all in HD and well worth the benjamins. 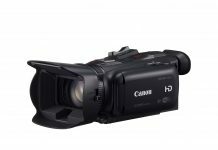 Canon Hf R70 camcorder features a new and improved screen, higher storage capacity, and a more powerful battery. This comcorder from Canon does not work with smart devices and it doesn't a support available for Android users. The design of this device also seems like a repeat of the prior model.